What sweet Valentine's Day photo greetings! Love keeps us warm even in the snow! Hope you all had a "sweet" day! These photos are so sweet. This would have ben a great day for some hot cocoa! See you got snow too, but yours looks prettier than what we got here. Nice pics! I love the photos. Maybe I can get my grand kids to pose for some Valentine's Day pictures next year for a present for their mom and dad. so cute, no snow here-it's 80 degrees in florida! Your kids look like they are having fun enjoying the day! So sweet Maria. Looks like your kids are feeling the love and having warms hearts for sure with all that snow too! 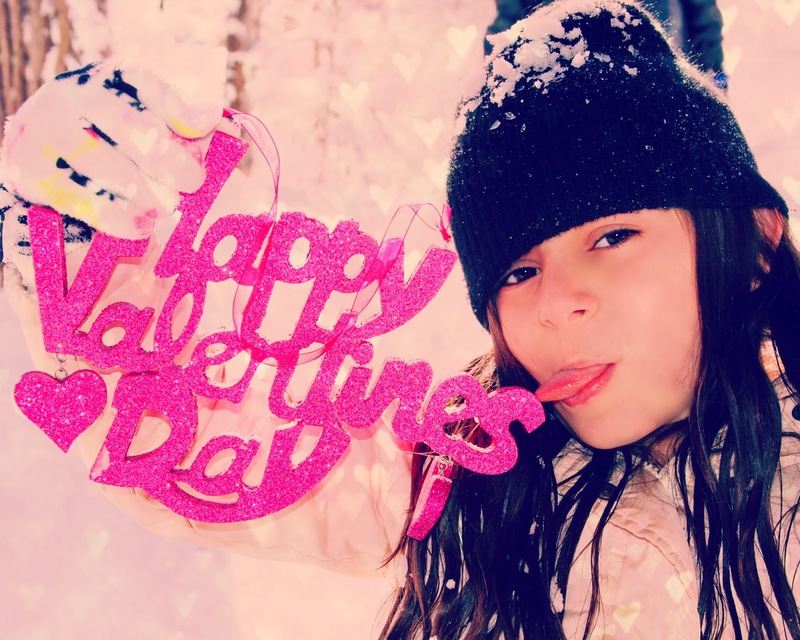 We have as much snow as you do and it seems like a beautiful backdrop to your kids Valentine's greeting.